When HMH was commissioned to design this family home, the clients—a young, fun, couple with a new baby boy—requested the firm find a way to express their quirky personalities, along-side their longer-term goals and lifestyle. They wanted a place with modern elegance, reflecting their hip personal style, that also functioned as a practical family home. 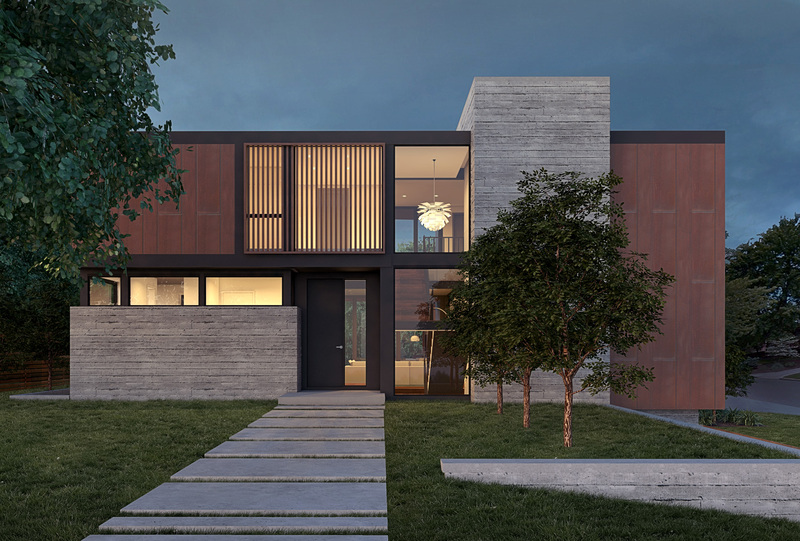 In order to achieve this, HMH created a bold, modern residence — not typical of the traditional homes in Hill Top area. 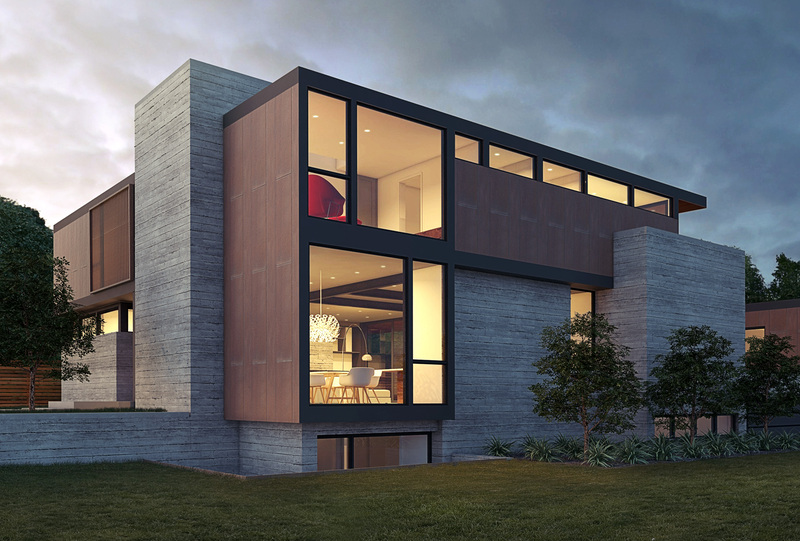 The exterior takes on a sculptural feel with the use of raw, industrial materials. Board-formed concrete grounds the house to the site, and contrasts with the lighter, warmer elements of steel and glass.